Marilyn Hubbard is a local business woman who is responsible for Legal and Financial matters of a long standing manufacturing company in Milton Keynes. She has grown the company from start up to a highly successful level with a turnover in excess of £5+ million and has been instrumental in the company achieving ISO 9001, ISO 14001 and OHSAS 18001 accreditations. Whilst running her own accountancy company with a portfolio of over 30 clients, Marilyn was also the Company Secretary for many of these clients. Her career started working for the Duke of Bedford, with responsibility for finance, cash handling and payroll procedures, followed by a period of working within Chartered Accountancy. Her extensive experience of setting up, strategically growing, and maintaining two successful long term businesses in challenging markets has given her the skills necessary to be the Chair of the Trust. Marilyn has provided support as Treasurer to a local Golf Club and a large Youth Football Club on a voluntary basis. She has been involved in school governance since 1990, when she joined the Two Mile Ash School Governing Body as a parent governor, undertaking the role of Vice Chair and Chair, with 22 years of experience as Chair. Marilyn’s experience is vast, and she is always transparent and accountable in her actions, covering all aspects of school challenges from teaching and learning to business and HR. Under her Chairmanship the school has maintained Ofsted ‘Outstanding’ status for over 16 years. During this time Marilyn has had to make difficult decisions whilst ensuring that outcomes were always positive for the school. Her passion is Governance and she became a National Leader of Governance in 2012. Under this role, Marilyn has worked with Chairs, Headteachers and Clerks mentoring them to become more able in their roles resulting in excellent outcomes from every aspect. Marilyn brings with her vast experience of business, governance, leadership and accountability, ensuring that the strategic growth of the Trust, its ethos, vision and outcomes are challenged effectively, and she is driven by her firm belief that all children should have an equal opportunity to access a ‘world class’ teaching environment to shape their futures. Greg Swepston has worked in the Construction Industry for 31 years; primarily in work winning and negotiation of contracts. Greg is currently employed in the role of Regional Chief Estimator with Vinci Construction Building Division, overseeing a team of 21 people, responsible for securing the expected workload (£500m pa) of the business. Greg’s responsibilities have been working with key clients in both the private and public sectors, establishing relationships, and ensuring profitable outcomes from any contracts won. Greg has knowledge and experience of commercial property development, building lifecycle costings and maintenance. Greg has been a Governor of Two Mile Ash School since 2011, and is a firm advocate that; successful schools and academies are only achieved through focussed investment in quality education, underpinned by prudent governance and financial management. Greg is an active member of the Finance and Resources Committee and his attention to detail is second to none. Marc has worked in the Insurance Industry since leaving school in 1985, initially working for a national broker, placing risks for customers in the London, national and international insurance markets. Latterly, Marc has been providing management and direction to the sales and customer management teams as the Area Sales Director for Towergate Insurance Brokers in the London North Area. Marc has been based with Towergate in Milton Keynes since 2005 and for the last 13 years has been providing leadership and motivation to 30 plus sales executives in achieving sales and development targets. Living and raising his family in Milton Keynes since 1988, Marc, in addition to his management duties, is also involved on a day-to-day basis working with customers from the manufacturing, distribution, electronics, construction, education and professional sectors to provide risk transfer, risk management, consultancy and protection advice for local and national businesses from Towergate’s Milton Keynes and Hemel Hempstead offices, working with most of the largest Insurers in the UK. A firm believer in professional conduct, Marc is a qualified member of the Chartered Insurance Institute, previously serving on the local council, and is a member of the Chartered Management Institute. Maria Wogan is a former Director of Milton Keynes University Hospital NHS Foundation Trust, is a company secretary and programme manager with over 25 years’ experience of working in local government and the NHS. Since 2014, Maria has worked as an independent management consultant and she is currently engaged by MK Clinical Commissioning Group. Maria has provided programme management services to MK CCG on a wide-range of projects, including a programme to widen the provision of healthcare for children outside hospital in MK and a programme to increase access to GP appointments. Recently, Maria has also provided corporate governance consultancy services to the Independent Press Standards Organisation. Maria has extensive Board-level experience and has led large transformational change projects, implementing new ways of working and securing significant cost savings in both the NHS and local government. She has a track record of working successfully in partnership with a wide range of people and organisations to improve and develop services for children, young people and their families. Maria was Chair of Governors of Olney Middle School from July 2014 to July 2016. She is Chair of Arts for Health MK and is also a member of the Advisory Board for the University Campus MK (part of the University of Bedfordshire). Graduating with a Bachelor’s degree in Law, Paddy has developed a strong career in law enforcement. This includes military and protective services experience and the last 14 years working with Thames Valley Police, currently as a Detective Sergeant. Paddy has a unwavering commitment to the safety and wellbeing of children and the security of the environments in which they learn and play. A resident of Milton Keynes, Paddy also spends time pursuing his passion for music. Mark leads a multi-disciplinary professional services (architecture & design, project management, cost control, building surveying etc) across a range of contracts for Engie and supports the Places & Communities Business Development function. Mark’s experience includes responsibility for a national multi-site Professional Services Hub in Carillion's Regions and Communities business, providing the successful delivery of client-focused design, project management, cost control, building surveying and hard FM services across a range of contracts, principally in the schools, health, housing and wider public sector. Working collaboratively with clients my services supported the delivery of some sector-leading capital investment programmes in the public estate. In a previous role at Milton Keynes Council, Mark directed and led a council-wide annual capital investment programme of £60M+ in addition to being the corporate lead for property and FM. Most notably, Mark led the planning and delivery of one of the biggest and most successful school build programmes in the country, investing in excess of £750m and successfully delivering more that 40 new schools or major expansions. During his career Mark has held Board memberships at the DfE and RIBA, advised on key school building bulletins and spoken and written about school building design and delivery nationally and internationally. I was also a board member of The BCSE and led that organisation's response to The James Review. Mark is passionate about securing safe, high quality, creative and exciting school environments for children in which they can accomplish their ambitions. Sarah has over ten years’ experience of headship leading a very large outstanding school in the heart of Milton Keynes. She has successfully led three schools in challenging circumstances in her role as Executive Headteacher. Sarah is well versed in system leadership and understands the importance of using on the ground expertise to support the performance of leaders and teachers in both high performing, brand new and schools in difficulty. 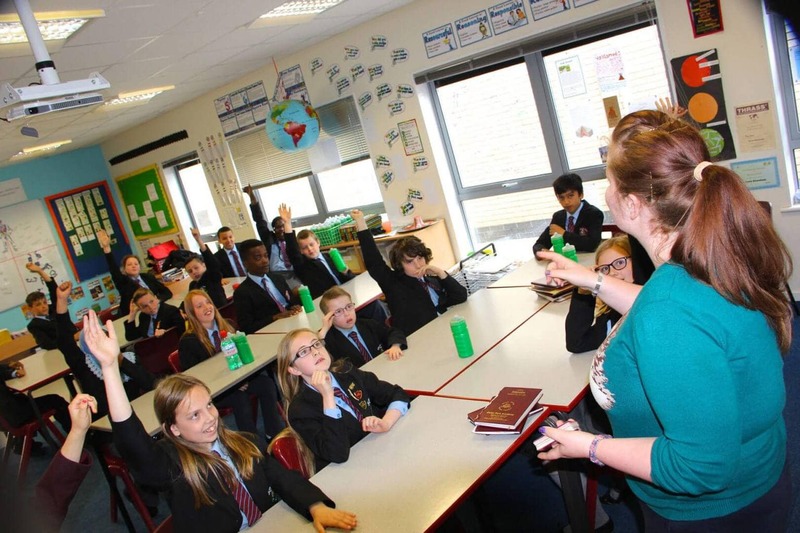 As a National Leader of Education, Sarah has reviewed the under-performance of vulnerable groups in a number of schools nationally and trains national colleagues on how to carry out pupil premium reviews. Sarah is a member the sub regional Teaching School Council and has an influence on school improvement across the region. This is informed by, and feeds into, national priorities. Sarah is passionate about ensuring every child, no matter their background, has the same opportunity and rights to success. She knows that this comes from creating happy, healthy, committed communities with the well-being of all those involved being fundamental to world class achievement. Marilyn Hubbard is a local business woman who is responsible for Legal and Financial matters of a long standing manufacturing company in Milton Keynes. She has grown the company from start up to a highly successful level with a turnover in excess of £5+ million and has been instrumental in the company achieving ISO 9001, ISO 14001 and OHSAS 18001 accreditations. Whilst running her own accountancy company with a portfolio of over 30 clients, Marilyn was also the Company Secretary for many of these clients. Her career started working for the Duke of Bedford, with responsibility for finance, cash handling and payroll procedures, followed by a period of working within Chartered Accountancy. Her extensive experience of setting up, strategically growing, and maintaining two successful long term businesses in challenging markets has given her the skills necessary to be the Chair of the Trust. Marilyn has provided support as Treasurer to a local Golf Club and a large Youth Football Club on a voluntary basis. She has been involved in school governance since 1990, when she joined the Two Mile Ash School Governing Body as a parent governor, undertaking the role of Vice Chair and Chair, with 22 years of experience as Chair. Marilyn’s experience is vast, and she is always transparent and accountable in her actions, covering all aspects of school challenges from teaching and learning to business and HR. Under her Chairmanship the school has maintained Ofsted ‘Outstanding’ status for over 16 years. During this time Marilyn has had to make difficult decisions whilst ensuring that outcomes were always positive for the school. Her passion is Governance and she became a National Leader of Governance in 2012. Under this role, Marilyn has worked with Chairs, Headteachers and Clerks mentoring them to become more able in their roles resulting in excellent outcomes from every aspect. Marilyn brings with her vast experience of business, governance, leadership and accountability, ensuring that the strategic growth of the Trust, its ethos, vision and outcomes are challenged effectively, and she is driven by her firm belief that all children should have an equal opportunity to access a ‘world class’ teaching environment to shape their futures. Ben Stanley is Founder and Director of Trilby Multimedia. Based in Birmingham and established in 1993, Trilby is an education software and training company working to improve learning outcomes through innovative uses of technology. Ben’s experience of staff training in well over 600 venues in the UK gives him a good insight into the workings of most institutions. Having experience with all levels of education from pupils through to leadership and management teams, Ben is adept at explaining and delivering his knowledge to a wide variety of audiences, both technical and otherwise. Recognised by Apple and Google with Apple Certified Trainer, Apple Education Trainer, and Google Apps for Education Certified Trainer certifications Ben still spends a portion of his time delivering training. In his development role, Ben has expertise in learning styles, process analysis and software development. As Director with responsibility for Product Development, Ben and the team have produced TrilbyTV, a digital signage platform designed for education. TrilbyTV is all about student voice, teacher sharing and community engagement and recognises the power of video as a communication tool. An interest in amateur astronomy and an ability to convey complex ideas in simple language also mix well with education in Ben’s role as a STEM ambassador. STEM workshops with children and adults take place in school and public settings bringing astronomy to the masses. Ben hopes that being part of the IFtL Academies Trust Board will allow him to share his passion for lifelong learning and hopes that by bringing his technology experience on the journey all those involved can benefit. Hasnain Datoo, an expert in IT hardware having worked in the industry 20 years plus, is now a Director of a thriving IT business with a turnover of up to £1.5 million per annum. Hasnain is fluent in 8 languages including Arabic, Urdu, Gujarati and Kiswahili and has lived in Milton Keynes for the last 17 years, the last 12 years of which he served as a governor of Two Mile Ash School. He has helped run various charity projects in Milton Keynes in conjunction with the Granby Mosque where he has taught O Level, GCSE AQA Religious Studies. He has supported and been involved in IT projects and EAL activities throughout his time as a successful governor at Two Mile Ash School. A qualified Talented Leader with 20+ years of experience in educational leadership, including Executive Leadership and School Improvement Partnership roles, teaching and industry, engaging in challenging and innovative educational opportunities that truly benefit young people, their families and their communities. With creative, analytical and dynamic approaches, Mark is successful at leading secondary schools and coaching heads of primary schools through school improvement and sustainability programmes including substantially raising quality of teaching and learning, creating and embedding successful school partnership networks and significant improvements in student achievement, behaviour and attendance. Steve Fulton's professional skills are applied to Financial Market Trader Surveillance for Legal and Compliance teams of the Globally Systemically Important Banks, to ensure they meet Regulatory Requirements for Conduct and detection of Malpractice. Steve ensures Business Requirements are translated into Operational Delivery. He has taken and run technology start-ups to market floatation of ITS shares and worked for Global Corporates. Having oversight of good cash flow and P&L whilst growing a business is of great importance to Steve. Employing the best available people, offering growth and ensuring high motivation and ethics is a massive priority. Steve’s empathy towards “Education First” for schools and now for the Multi Academy Trust (MAT) has been nurtured during his seven years as Parent Governor at Two Mile Ash School. Steve puts family and society at the top of his priorities and engenders good citizenship in society. Steve has been a Youth Rugby coach for 16 years and advocates team sports and inclusion for all children. He knows the pressures on families from difficult or disadvantaged backgrounds as he was bought up by a single parent during tough times. Steve is proud of his community and country, particularly when it is compassionate, inclusive and celebrates multicultural displays of Britishness. As a Multi Academy Trust Member, Steve will dispatch his responsibilities with rigour and professionalism for the greater good of all the schools and people under its umbrella, and promote educational excellence. Information and our Register of Business & Pecuniary interest can be found here.